South Korea’s recently appointed Sports Minister Do Jong-hwan has said he hopes his country and North Korea can combine to create a “peace Olympics” at Pyeongchang 2018. The politician was speaking during a visit to the Organizing Committee’s headquarters today. Tensions have risen in recent months with North Korea and the United States trading threats as North Korean leader Kim Jong-un launched new missile tests despite repeated warnings to stop. The US is activating a missile defense system in South Korea and tightened sanctions against the North in April. Both neighboring countries have always endured a tense relationship throughout history. “Hopefully, we’ll be able to thaw lingering tensions as we try to bring North Korea on board,” said Do, according to Korean news agency Yonhap. Do added that he intends to discuss possible ways to ensure North Korea’s participation at Pyeongchang 2018 with the International Olympic Committee (IOC). According to Yonhap, he said one option could be to form a combined Korean women’s ice hockey team. The two nations played in an International Ice Hockey Federation (IIHF) Women’s World Championship Division II Group A competition in April at Olympic venue Gangneung, where the South Koreans overcame the North 3-0. Last month Christophe Dubi, the IOC’s executive director for the Olympic Games, claimed the organisation are monitoring the situation on the Korean peninsula prior to Pyeongchang 2018. He insisted there are no contingency plans to move the Games should matters escalate further. “In a context like this one it is to follow the situation, it’s evolution on a day-to-day basis and this is certainly what we are doing,” Dubi said. “At the same time, we have one plan and that is February in Pyeongchang. “That’s what we have in mind. South Korea elected Moon Jae-in as the country’s President on May 9, after a cronyism scandal led to Park Geun-hye being impeached. Moon, a liberal candidate from the Democratic Party, has pledged greater dialogue with North Korea in a bid to reduce tensions. North Korean officials have reportedly declared the country’s intent to take part in the Olympics after they boycotted the 1988 Summer Games in South Korea’s capital Seoul. Choi Moon-soon, the Governor of Gangwon Province, claimed in April that a North Korean sports official confirmed his country will participate. During his visit, Do visited the Pyeongchang Olympic Stadium, the venue for both the Opening and Closing ceremonies, and skating arenas in Gangneung. He also stressed the importance the Games will have as the first major sporting event under the new administration. 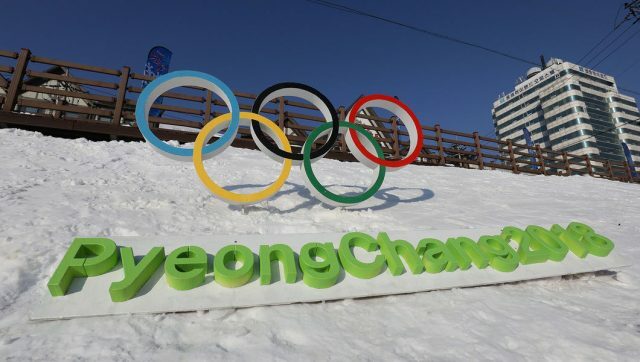 “Everyone from the central Government to Gangwon Province and the Organizing Committee should come together for a successful Olympics,” Do said.